My sweet friend and fabulously talented food blogger, Deeba at Passionate About Baking, invited me to participate in the My 7 Links project that’s been making the rounds on the net recently. The goal of My 7 Links is to share long but not forgotten blog posts that deserve to see the light of day again. Thanks Deeba for the invitation. It was fun taking a look back at some of my favorite posts. I hope you’ll have fun revisiting My 7 Links too. 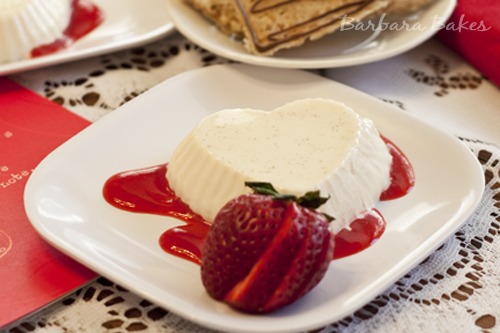 I thought the heart shaped Vanilla Bean Panna Cotta and Florentine Cookies I made last year for Valentine’s Day was one of my prettiest posts. 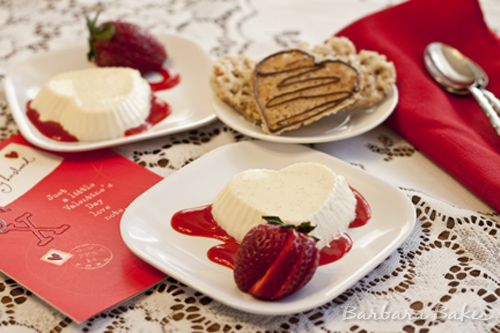 Panna Cotta is a smooth, creamy, sensual dessert perfect for Valentine’s Day. 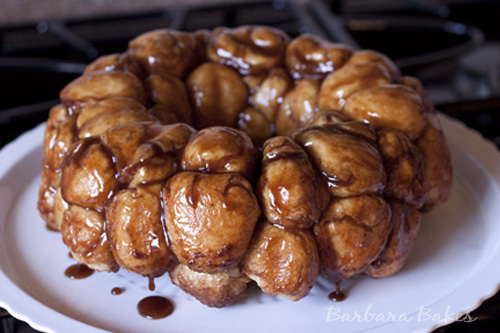 The Overnight Monkey Bread that I made for Christmas morning is by far my post popular post. The great thing about Monkey Bread is that you get the best part of a cinnamon roll, the ooey, gooey middle in every bite. Fortunately, I don’t have many controversial posts. Occasionally someone will comment that they don’t like an ingredient I’ve used, such as butter vs. margarine, oils, or shortening. 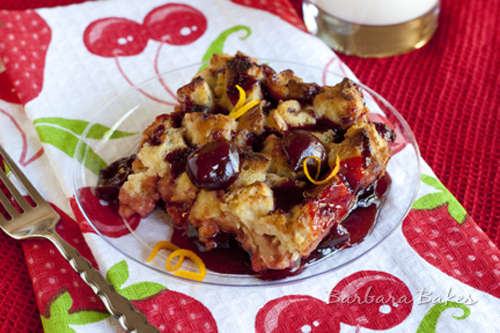 There is also some controversy about agave nectar which I personal love and used in my Baked Cherry French Toast. 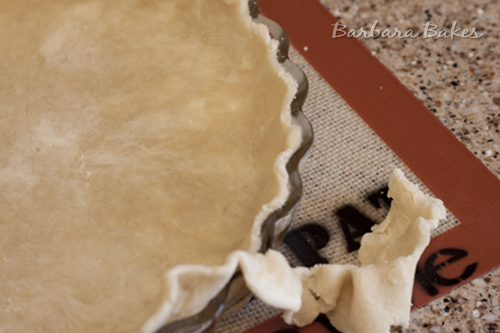 My pie crust tutorial is my most helpful post. I took pictures of each step so it’s easy to see what the dough should look like at each stage. My readers were also kind enough to share their pie crust tips in the comments. 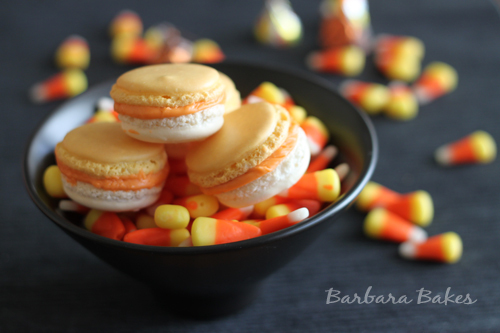 Candy Corn Macarons was a fun post that I did last year for MacTweets. Candy corn just seems to make people smile. There have been many candy corn roundups both this year and last year that included my colorful Candy Corn Macs. My Over The Top Lemon Drop Cookie is the best lemon cookie I’ve ever tasted. 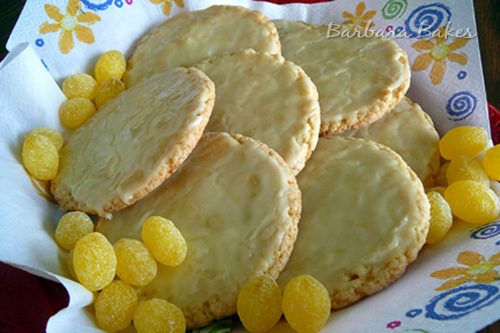 It’s a sweet, but lemon-bar-tart cookie that is tender and just a little chewy. Crushed lemon drops are mixed in the batter and then it’s frosted with a lemon glaze for a double burst of lemon flavor. I created Snickerdoodle Bread to sell at The Great American Bake Sale. 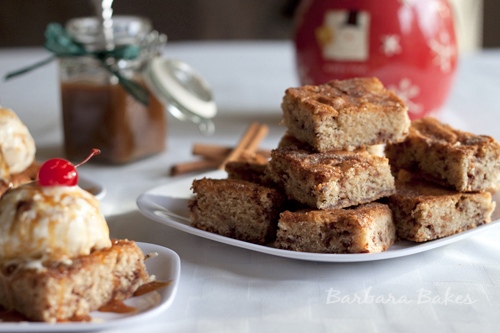 Like a Snickerdoodle cookie, it has a crispy cinnamon sugar topping with a sweet, buttery interior and it’s studded with creamy cinnamon chips. I also transformed it into a reduced fat Snickerdoodle Snack Cake recipe and baked it in New York at the I Can’t Believe It’s Not Butter! HolidayBake-Off. Thanks Katie for starting the My 7 Links project. Looking back always helps focus where you want to go in the future. I like this idea of the 7 links. I hope someone invites me. And, I feel I have to make those lemon cookies. Such a good recipe should not go wasted. Hi Angela – One of the ladies that I invited to do the 7 links doesn’t want to participate. So I’m extending the invitation to you. You have a beautiful site and I’d love to see your 7 links. Barbara – these are all just fabulous! Thanks for revisiting them… I had never seen some of them. Great post!